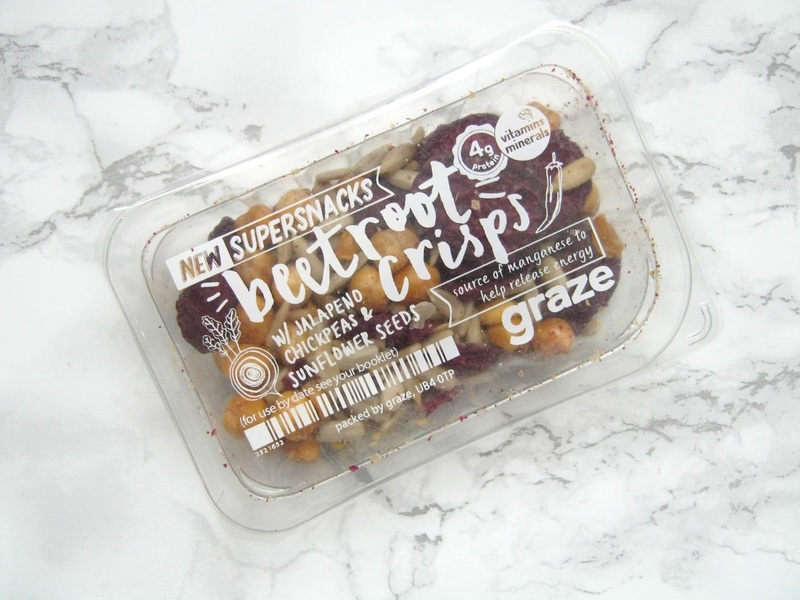 It's been quite a few months since I last did one of these Graze box posts but some of their newest snacks have spurred me on to start up this little series again. If you've followed this series since the start then you'll know that at some point along it I was lucky enough to start working with Graze so every now and then they send me some tasty snacks in the post to try out. This time round I've been trying out their new Supersnacks! 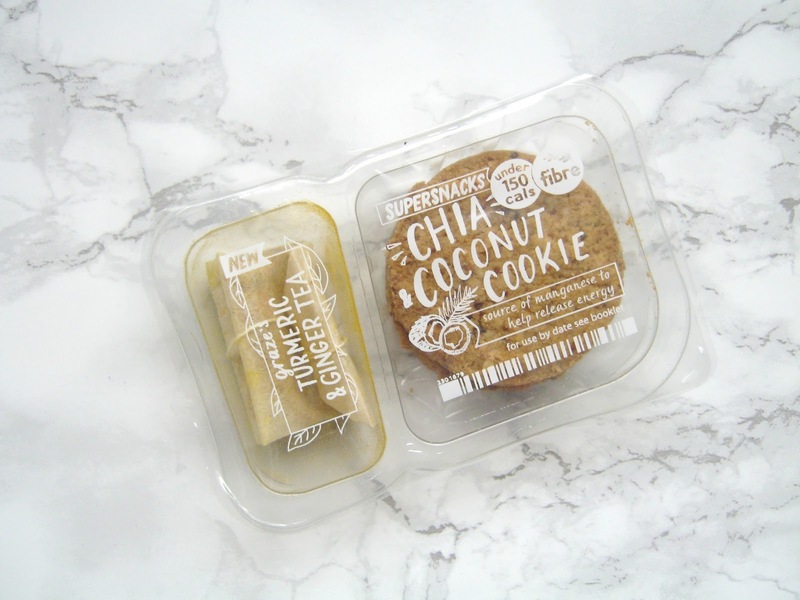 These are 7 new snacks that are all based around superfoods, I have to say I've never really been into the whole superfoods thing but mostly because I have no idea how I would use them! This set of new snacks have definitely shown me how versatile superfoods can be and also how tasty they are though. Apparently this snack has proven to be the most popular one out of all of the new ones so far! I used to be one of these people who would always say no to vegetable crisps but I have to admit when the superfood craze began I did get sucked in by them and became quite a fan. So, it really doesn't surprise me that this has been the most popular snack so far, I really enjoyed them. The crisps themselves were lovely and the jalapeno chickpeas complimented them so well and really opened my eyes to mixing different flavours and pairing together unlikely ingredients. This snack also contains 4g of protein as well as a source of manganese to help release energy so not only does it taste good but it is also pretty good for you. Now I'm a pretty big fan of coconut and I'm not just talking about bounty's chocolate bars, so this snack definitely caught my eye. I'm not a tea drinker so unfortunately I can't give you my thoughts on that but I would imagine that it would pair nicely with these since it is basically a biscuit. At first it tasty more oaty than anything but the coconut flavour did soon come through, although not as strong as I would have liked but as I said I do really love coconut. I liked the texture that the oats gave it, it didn't crumble in my hands but it wasn't rock solid either. This is one of the snacks that is under 150 calories as well, so perfect for anyone trying to pick some healthier snacks, and it also contains a good amount of fibre. I wouldn't put it up there with my favourites due to the coconut taste not being strong enough but it's definitely something I'd eat again. 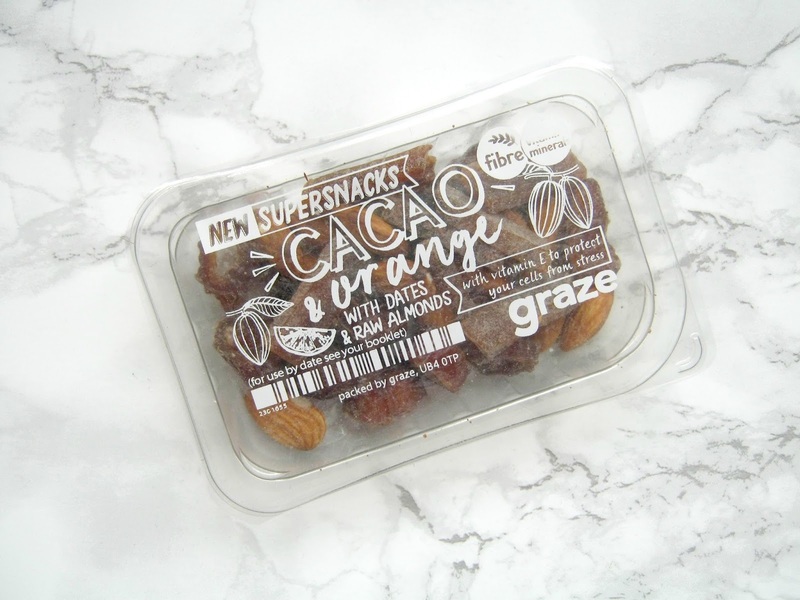 When I first read the packet of this snack I knew straight away I wouldn't like the dates, I've never liked them and don't think I ever will but I really love almonds and the cacao and orange pieces really intrigued me. The almonds were what you would expect from them, pleasant but nothing special whereas the little orange pieces were so much nicer than I had expected. I'm not always one to enjoy orange flavoured things, minus jaffa cakes, so I was surprised I enjoyed these so much but I think it was the texture that won me over. They almost feel and taste like the kind of chewy sweets that I enjoyed when I was younger so I found them really easy to quickly get through. 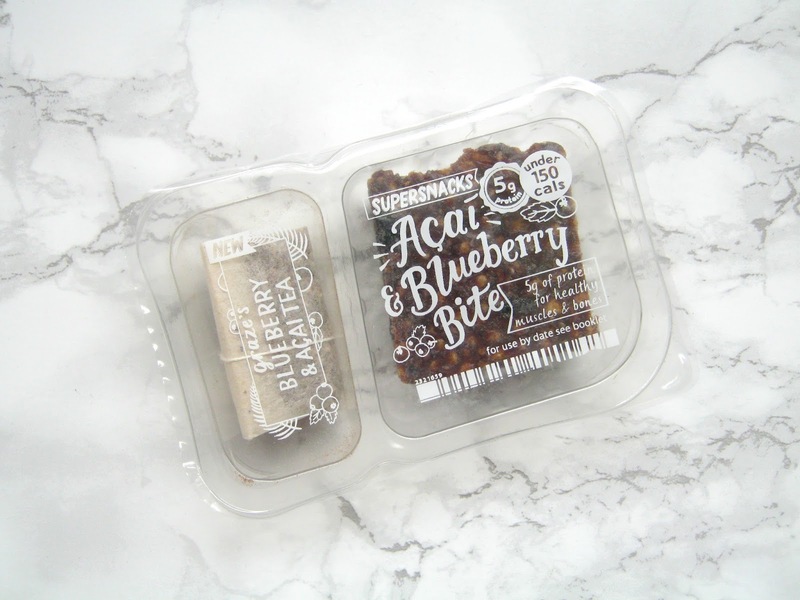 If you're looking for a healthy snack that still has flavour then this is definitely the one for you, it contains minerals, fibre and vitamin E! There had to be one snack that took the top spot and for me it was this one. Like coconut blueberry is one of those flavours I really enjoy, either fresh blueberries or in things like this. Again I'm not a tea drinker so I skipped the tea and went straight for the bite which was easily finished in just a few bites. The blueberry flavour was strong and the texture of the bite was soft but firm, it was the perfect afternoon snack but I could also see me having this as an addition to my breakfast. On top of it tasting good it also happens to be under 150 calories and it contains 5g of protein, pretty impressive for such a sweet and satisfying snack. 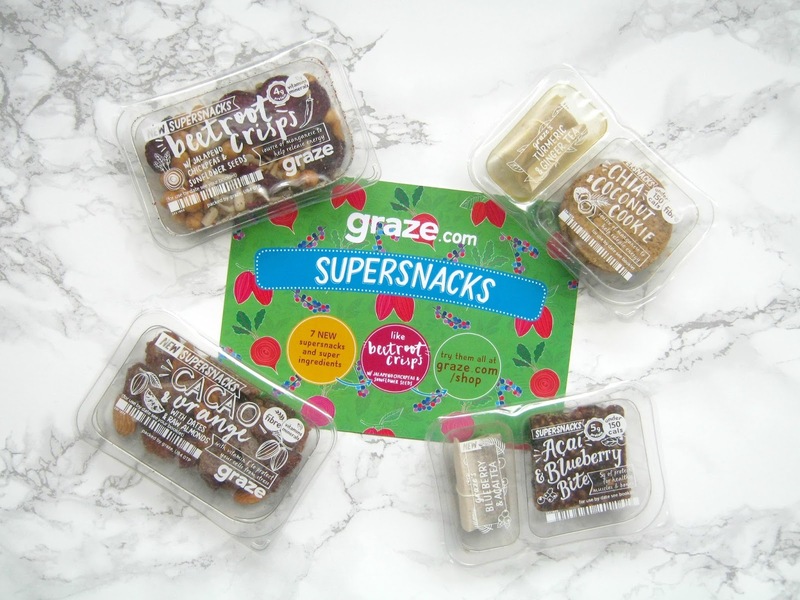 I'm definitely looking forward to trying out the other 3 snacks after being so impressed by these and of course I still have my old favourites like the graze brownie that I'm not ready to let go of yet! 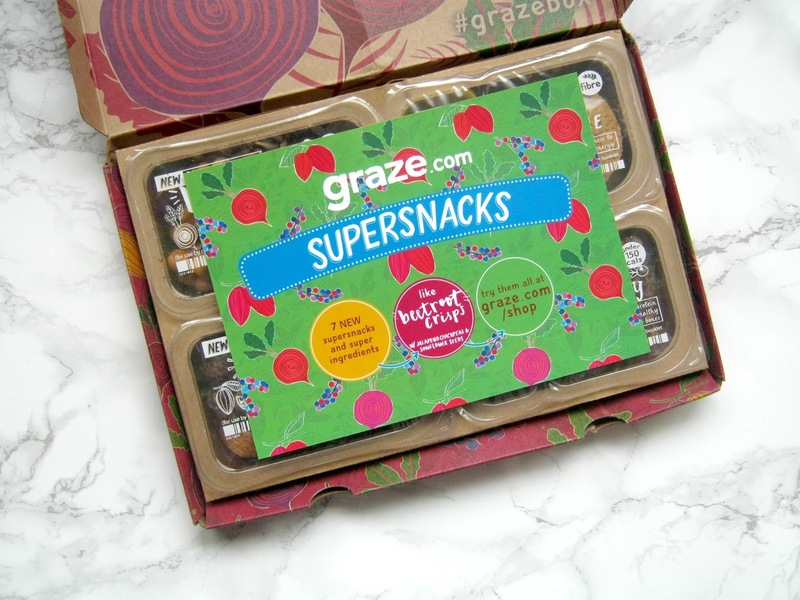 You can start a Graze subscription on their website and get your 1st, 5th and 10th box free by using my code SHONAC1HP. There's no commitment to continue after your first free box so if it isn't your thing or you just want to try one box to see what it's like then that's fine, you can just cancel your subscription! 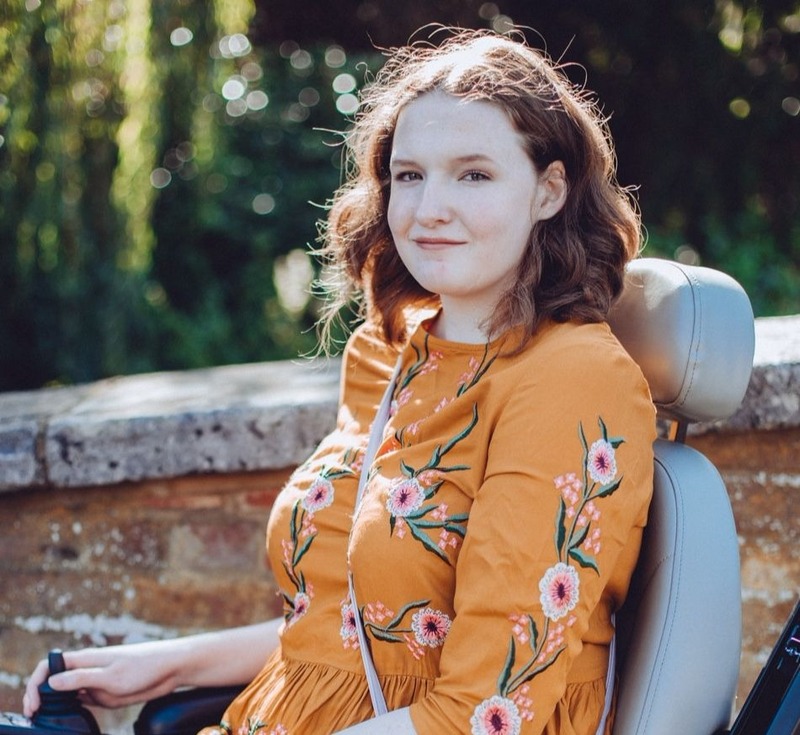 I'm a Graze Box ambassador which means every now and then the lovely team send me some snacks to try out, however I am always 100% honest and graze is a brand that I've loved for years!